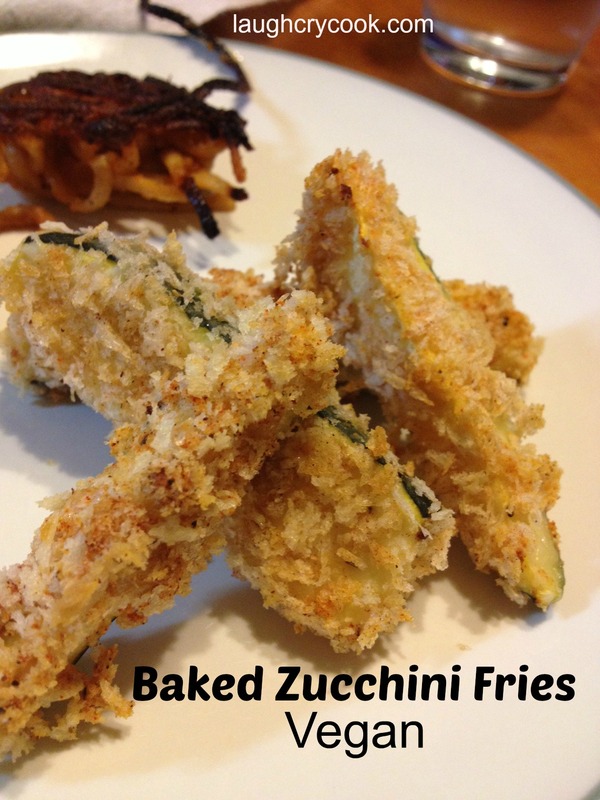 These Baked Zucchini Fries have started making a regular appearance on our family’s menu . 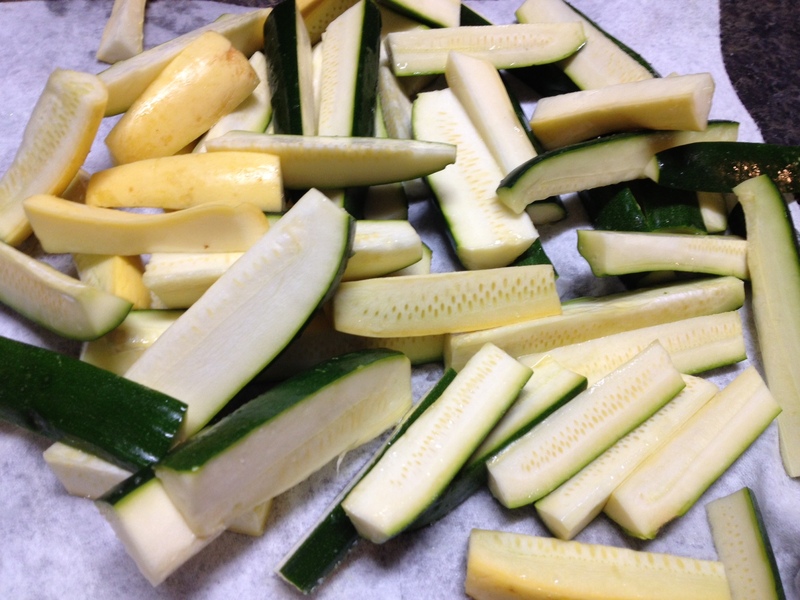 When they cook, the zucchini gets soft and almost buttery, but the outside creates a crunchy shell. It’s a little like biting into a nutty chocolate truffle. You have to bite down with a little force to get through the crunchy exterior and then your mouth gets a surprise as your teeth quickly sink into the pillowy soft middle. Sorry if I just took you from craving zucchini to craving chocolate in one paragraph. Come back! You won’t be disappointed. In fact, I’d pick a box of zucchini fries over a box of chocolate truffles any day. Unlike a box of chocolates, I know exactly what I’ll get in each bite…and it’s delicious. I like serving them instead of garlic bread on pasta night. The bread coating gives you a little carb crunch, but unlike garlic bread, it also sneaks in a serving of veggies. I also paired them with The Gluten-Free Vegan’s Falafel recipe. 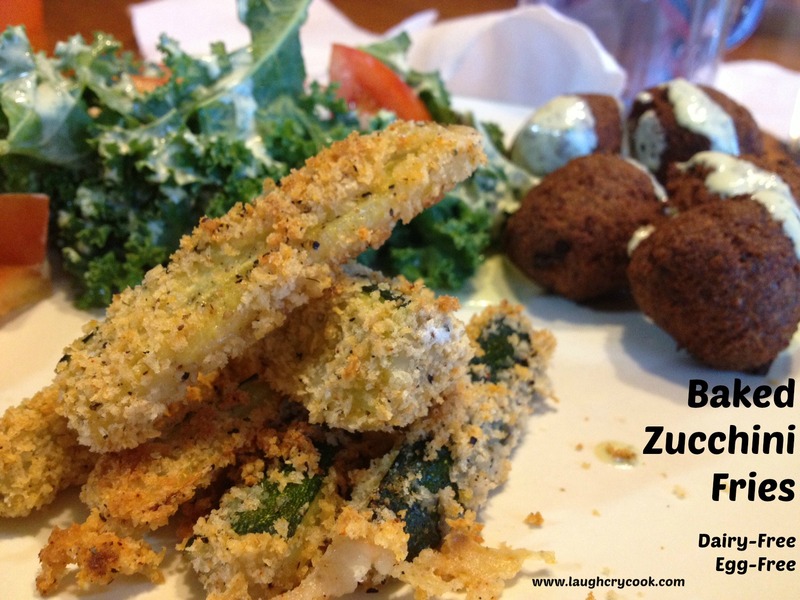 I don’t recommend making both on one night, as that would be a labor intensive evening, but the falafel freeze wonderfully and can re-heat right in the oven with the zucchini fries. I didn’t do exact measurements here. You can do as few as one zucchini or as many as you want. I usually do three to four for our family of three. Simply refill your dredging station as you run out. If you can’t fit them all on one pan, add another pan and bake at the same time. 2. 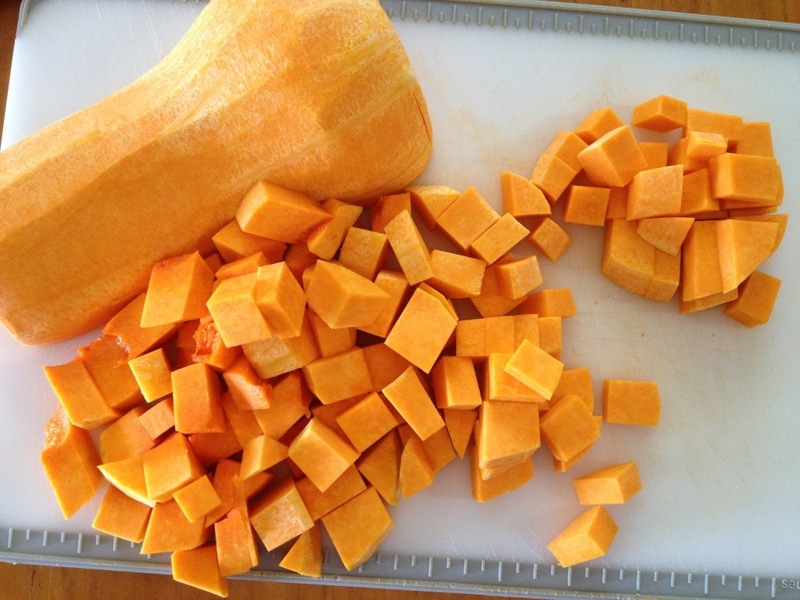 Line cut squash on a bed of paper towels. Sprinkle with salt and let sit for 20 minutes. 3. Spray a baking sheet with olive oil spray. 4. 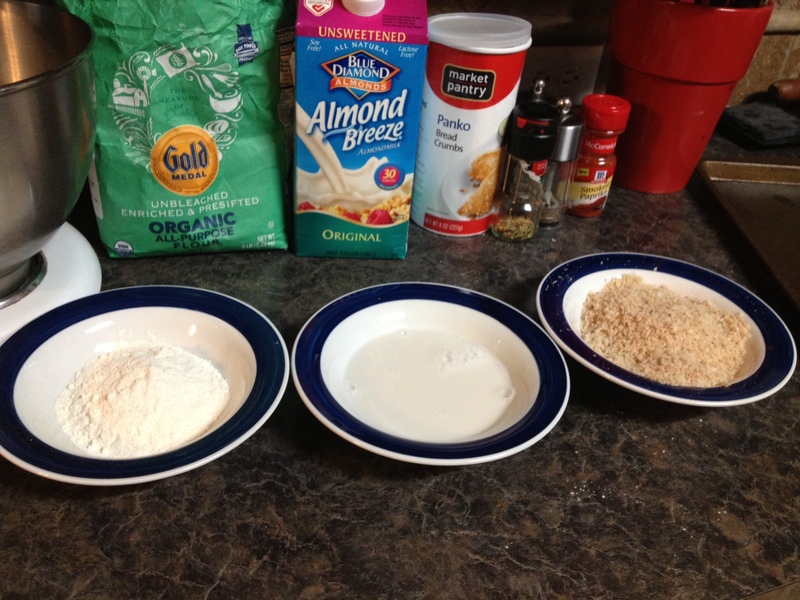 Make dredging station: Put flour in a bowl, milk in a bowl, and bread crumbs in a bowl. Stir in salt, pepper, smoked paprika, and Italian seasoning into the bread crumbs (about 1/2 teaspoon each seasoning to 1 cup of bread crumbs). 5. Pat the zucchini dry. 6. Dredge: Dip them one or two at a time into the flour. Tap off excess flour. Dip into milk. Dip into bread crumbs. 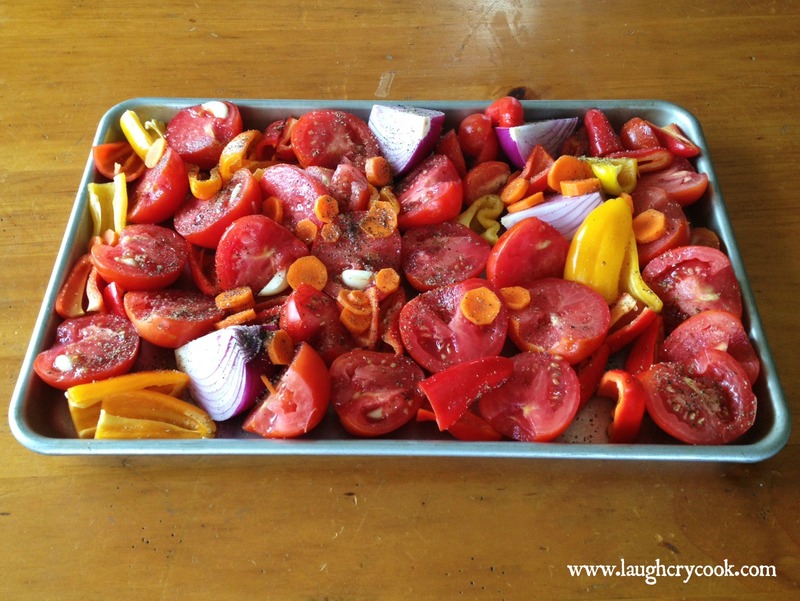 Place on baking sheet. Repeat until all zucchini are dredged. 7. Spray zucchini generously with olive oil baking spray. 8. 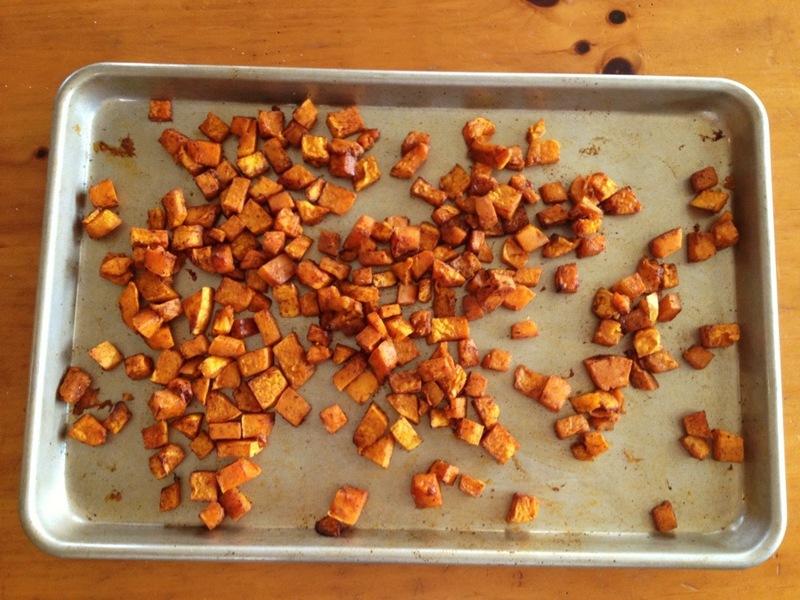 Bake for 20-25 minutes until coating is crispy and brown and the inside is soft and buttery. It has been a little more than a month since We Laugh, We Cry, We Cook released. What an exciting month it has been! We wanted to update you on our book launch adventures and make sure you didn’t miss out on anything–giveaways, interviews and articles, and the ebook sale. Ebook Sale Ends TODAY–get it for $2.99! Becky was interviewed on Chicago’s Moody Radio station last month. Listen to the interview here. Becky & Rachel have a feature story in the September issue of Guideposts Magazine. Here’s the online link. We each have an article on BeliefNet.com. 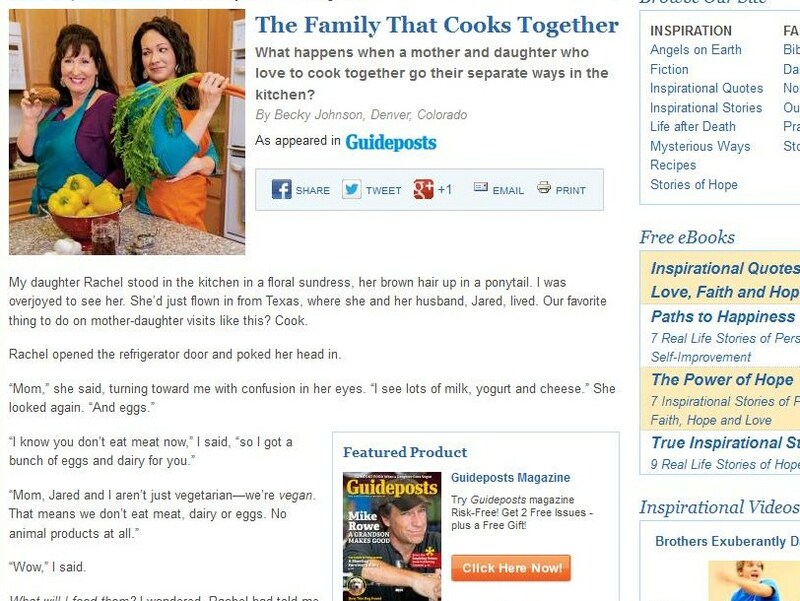 Rachel wrote one on Raising Vegetarian (or Other Special Eaters) in a Meat-Lovers World. 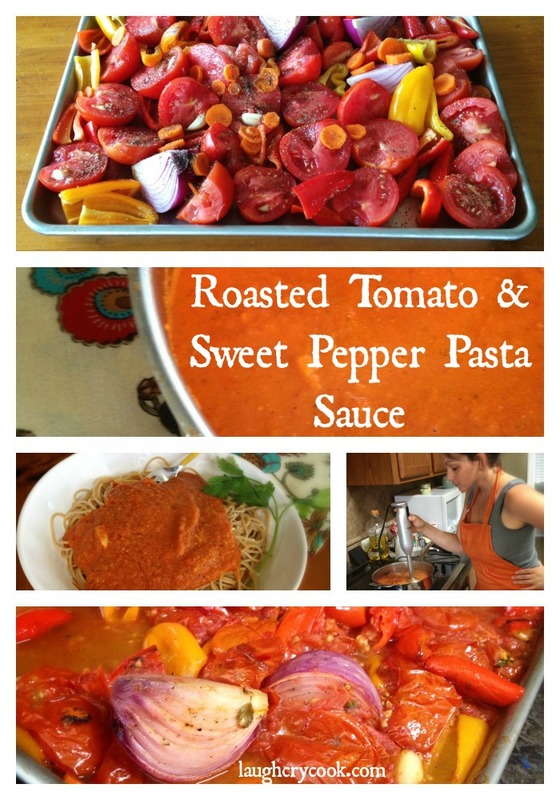 Becky wrote Make Every Meal Holy. We’d love you to check these out and share them with others if they resonate with you! 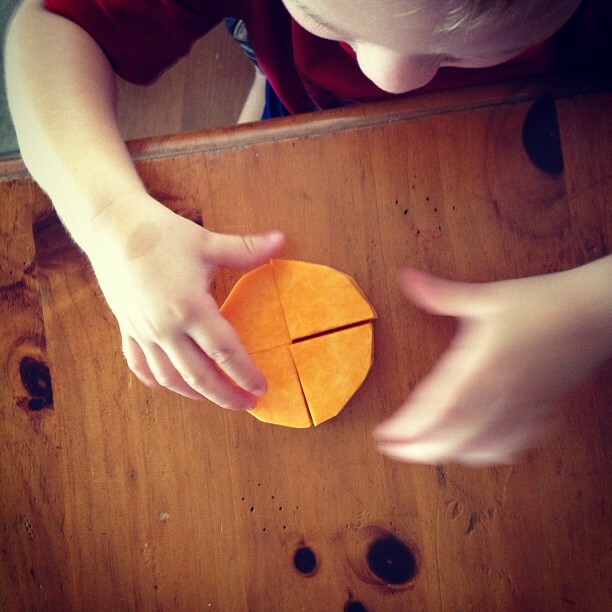 Rachel wrote a back-to-school blog for WeAreTeachers.com on starting a Teacher Lunch Club. 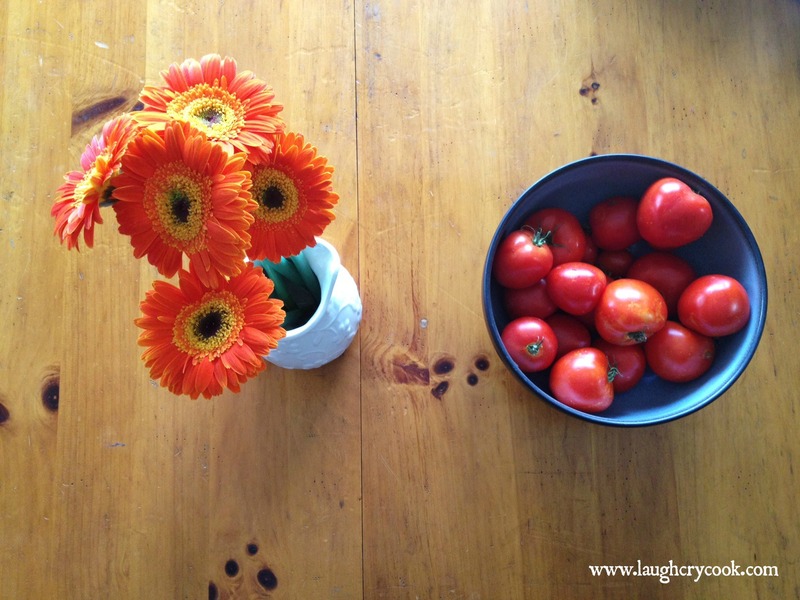 Welcome to all our new teacher friends on the blog! We are so glad you are here. Teachers have a special place in our hearts! It looks like we will have our first television interview for the book next week on D The Broadcast, unless something changes. You never know in the world of tv–Becky was once bumped from a segment to interview a cat who dialed 911! Though we’ve been a little quieter on the blog here, we’re still writing…not only are we working on our next book (manuscript due in November, in stores January 2015), but we’ve been busy writing guest posts for some of our other favorite bloggers. 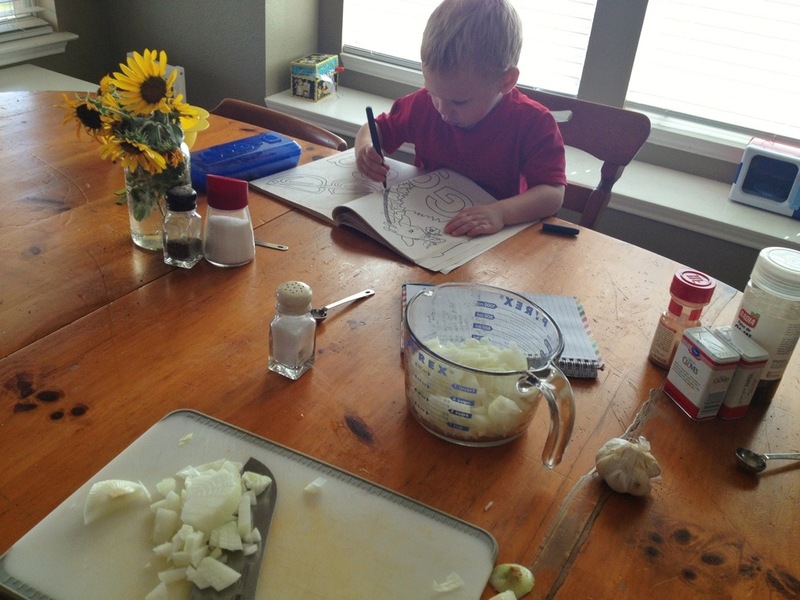 Rachel wrote a post for The Gourmet Housewife on how the book idea and blog formed from her desire to be able to stay at home with her son. And she wrote about the hilarious time Jared made her a special breakfast concoction–cinnamon eggs—as newlyweds over at Candice Calvert’s Author’s Galley: Manuscripts & Wooden Spoons. 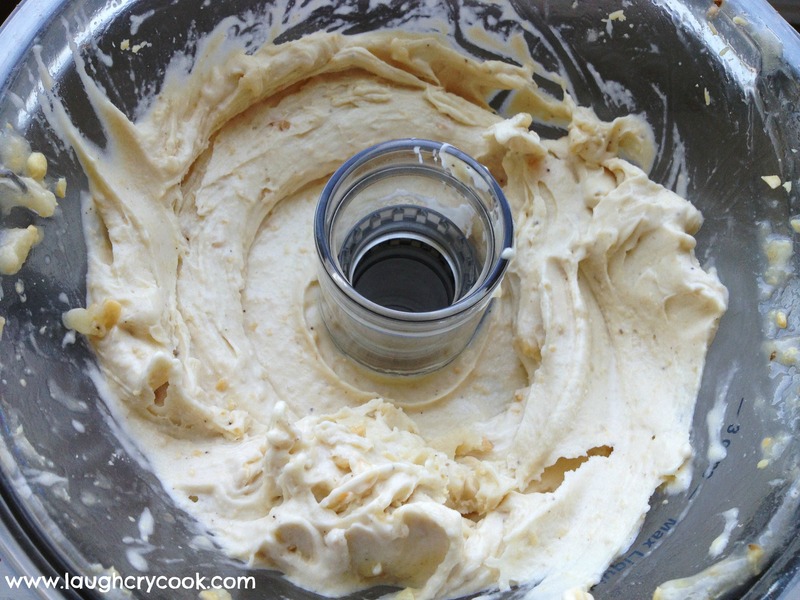 Becky did a fun S’more recipe and post for Doughmestic. Rachel just added her speaking topics to the blog and she has had a great response—calendar is filling up! 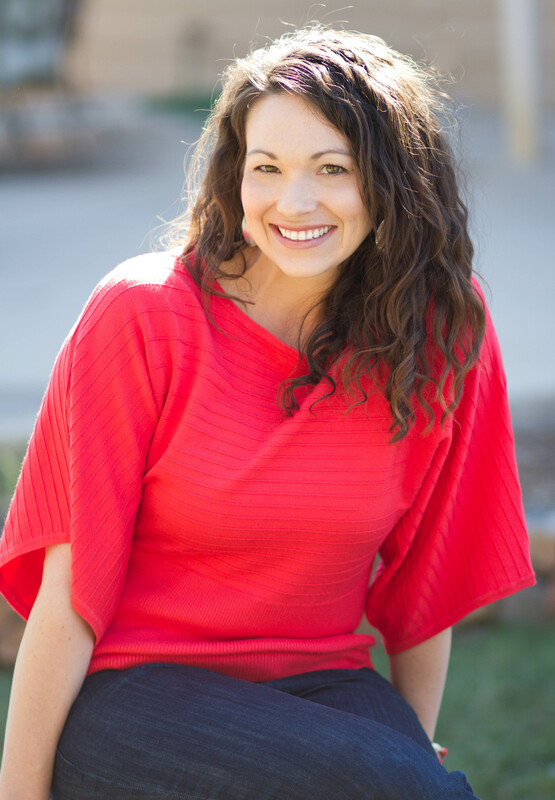 If you live near Dallas, Texas, and are looking for a speaker for your MOPS group, ladies retreat, or health event, check out her new speaker page and contact her soon to book her for your event. 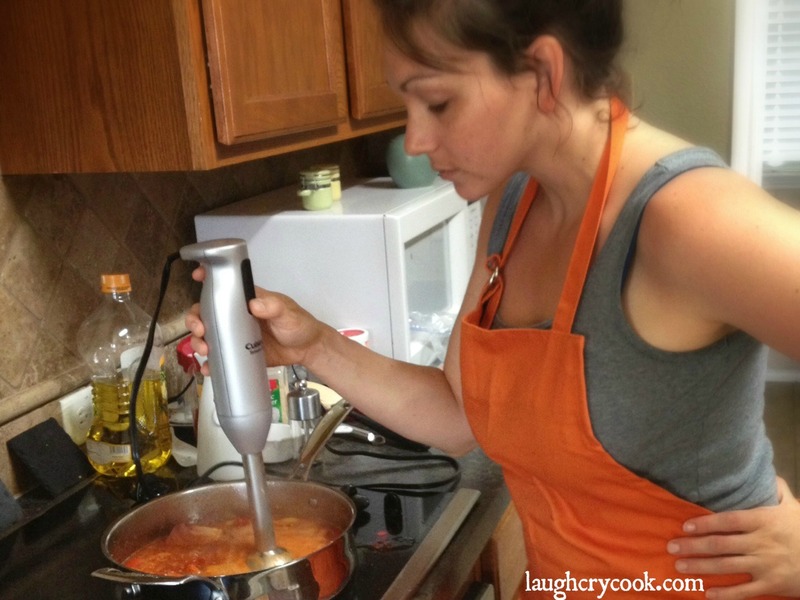 Several bloggers have done giveaways of We Laugh, We Cry, We Cook. A Big Shout Out to Wendy’s Bloggers for reviewing the book, posting pictures about the recipes you’ve made, and hosting giveaways. As food bloggers, we know a lot of work goes into those posts. Bless you! Also thank you to Michele Cushatt for hosting a special giveaway of not only a copy of the book, but also a homemade batch of your chocolate chip cookies featured in Chapter 12! That was one lucky winner! There are several giveaways still open right now, most with very easy entries! We would love to hear from you! And we also so appreciate Amazon and Goodreads reviews. This is what the transition to football widow looks like in our home every year. It’s a big ugly awful transition from having our husband/daddy home 24-7 to him working seven days a week….long late hours several of those days. I dread it with every fiber in me…and then it somehow is even worse than I anticipated it would be. Jared assures me it gets better, I’m telling myself I always adjust and survive. I’m hoping that’s true again…though I’ve never had a toddler, a book deadline, and a new book release all in one football season. At least I won’t suffer of boredom like I did back in our newlywed days….that’s for sure. Aside from the real possibilities of wearing dirty clothes and hiring a lawn man, I need a better vision for this season. So I’m working on this. Not a plan so much as a shift in attitude, in focus, a survivors guide of sorts. I’m jotting down some sanity savers for the school year. It’s Wednesday afternoon and so far, I have yet to melt down this week. Maybe they are working. Pray. Often. Quietly. Out loud. Whenever I think I need Jared. Because really, I probably actually need Jesus. Go Away. I’m going to try and getaway for a writing weekend once a month. I’m calling in Grandparents and friends and getting away to do my bulk of writing in short intense weekend spurts, because that’s how my mind works best. Wake Up Early. I am NOT a morning person, but now that I have a toddler who, bless his adorable heart, drains every ounce of energy from me by his 8:00pm bedtime, I’m no longer a night person either. So I’m trying to wake up early to be with God, my thoughts, and my writing…and coffee, probably lots of coffee. I’m not going to lie, I’m struggling on this one! Plan/shop for meals every two weeks. I will go major grocery shopping every other Sunday night while Jared is home with Jackson, so I know what is for dinner every night….and I can do the big shopping alone (the only way I enjoy this chore). 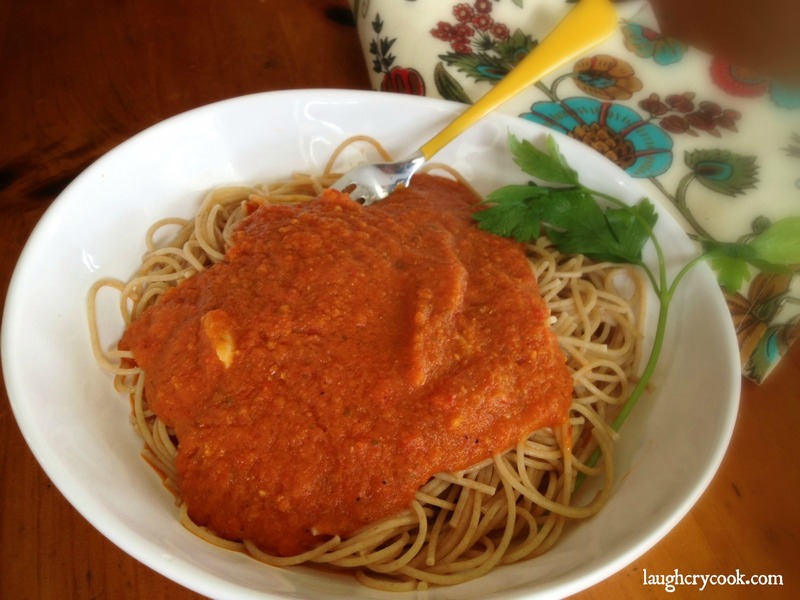 Double and freeze meals as often as I cook (when possible). I’ve been cooking big and filling up my freezer this week and it feels so good to have pizza, falafel, bean burritos, pinto beans, cupcakes, extra chopped veggies and fruits, and Jackson’s morning oatmeal all ready when I need something quick. Apply to start a home group. This seems kind of counter intuitive…but our current group meets on Thursday nights and we can’t make it because of football and bedtimes, so we are going to try and start one every other Sunday afternoon, because we need people to invest in, because we don’t want to get lost in our little world that revolves around ourselves and football. Stay involved in MOPS, because these women are my girls…they are in the trenches of motherhood with me and they understand me and will pray for me when I ask them to and make me laugh when I think I’m going to fall apart. I stepped down from my steering team role, which was sad and hard, but the right choice. And now, for this season, I will let MOPS do what it does best, minister to my often overwhelmed mother heart…and equip me to be a better mom. Better Moms Make a Better World. Dig in the dirt. I’m going to devote time to dig in the dirt with Jackson, to go on slow picking up sticks and rocks along the way walks, build things with him on his workbench…without looking at my phone or quickly checking to see what email just popped in my inbox. Focused time with him, so his cup will be full when I do need to focus on something else. Savor nap time. I have a child that sleeps during the day. That’s awesome. It will end at some point…and until it does…oh I will savor that time, from the sweet snuggles while we read and rock to the quiet time to write, reflect, and decompress from busy mornings while he’s sleeping. Declare evenings stress-free. At about 5:00pm, my ability to handle stress goes way down. I might just declare a daily dance party in the kitchen at 5:00 to signal that the day is over and the stress free night has begun. Think I can convince a two-year old to go along with this? 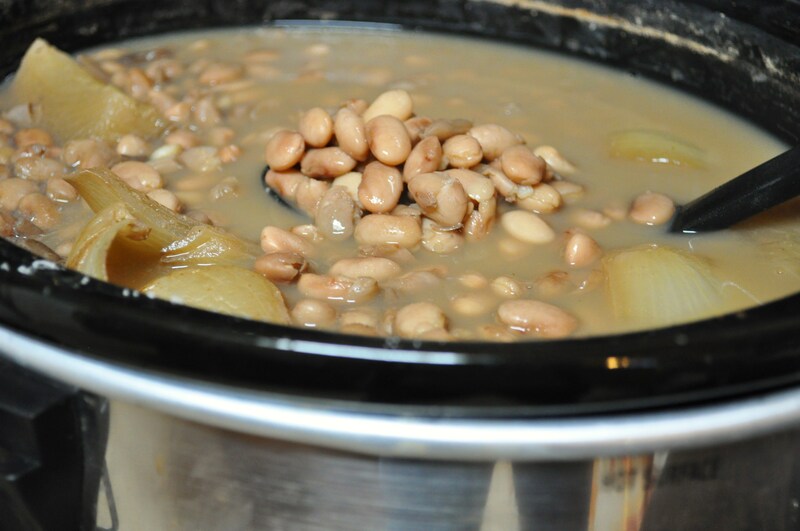 As part of my meal plan last week, which believe it or not, made the week go WAAAAAY smoother than it could have gone, I made a huge pot of crockpot pinto beans. 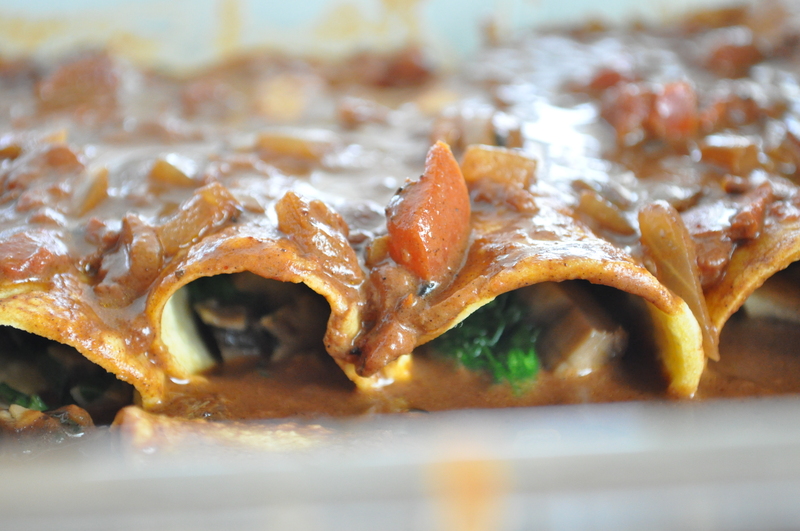 We ate them with Mushroom & Spinach Mole Enchiladas one night and Roasted Butternut Squash Mole Enchiladas another night. 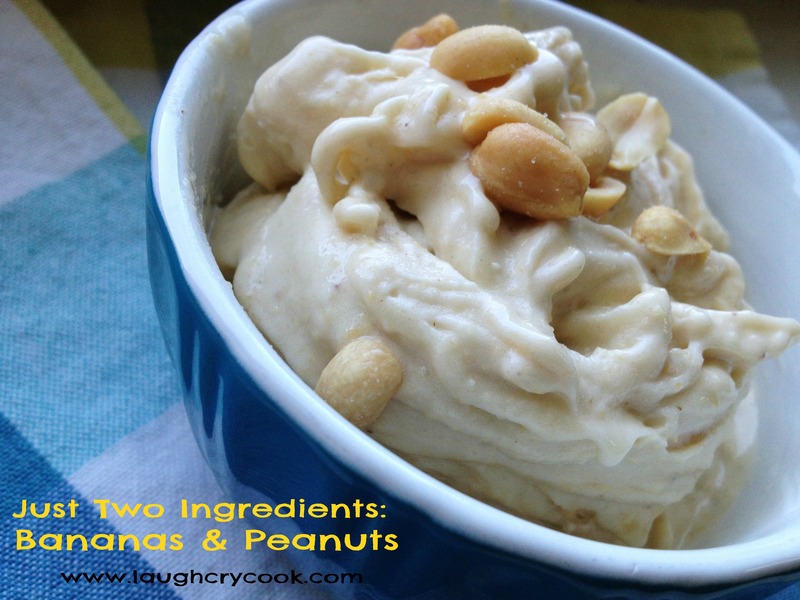 (I will share this recipe next time I make them. 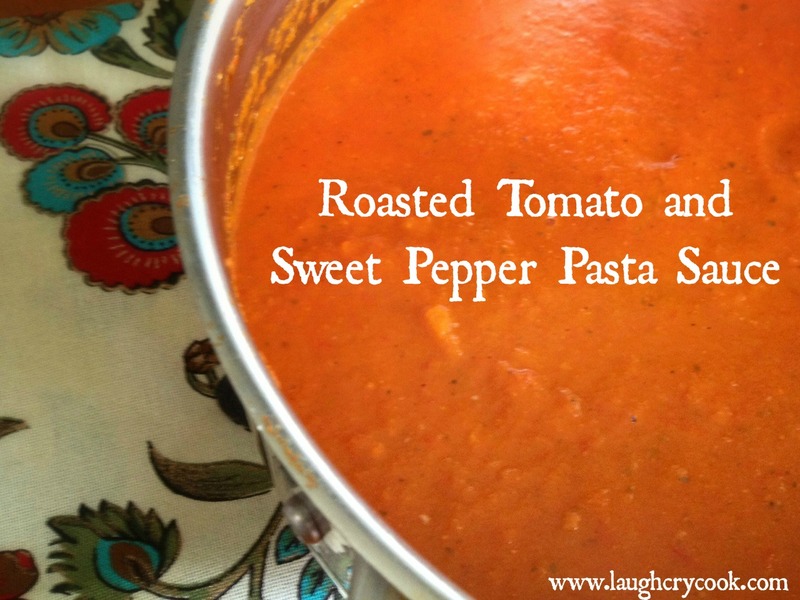 Let me just tell you, they were fantastic and I will be making them again…but I did not have the energy for the extra food blogging steps this time. Sorry!) Then I made several bean burritos to freeze for back up meals or quick lunches, and still I froze some extra pintos to reheat for future meals. I always forget how long the crockpot actually takes…they call it a slow cooker for a reason, but it’s worth the wait. Just plan ahead! *Cover beans with lots of water. 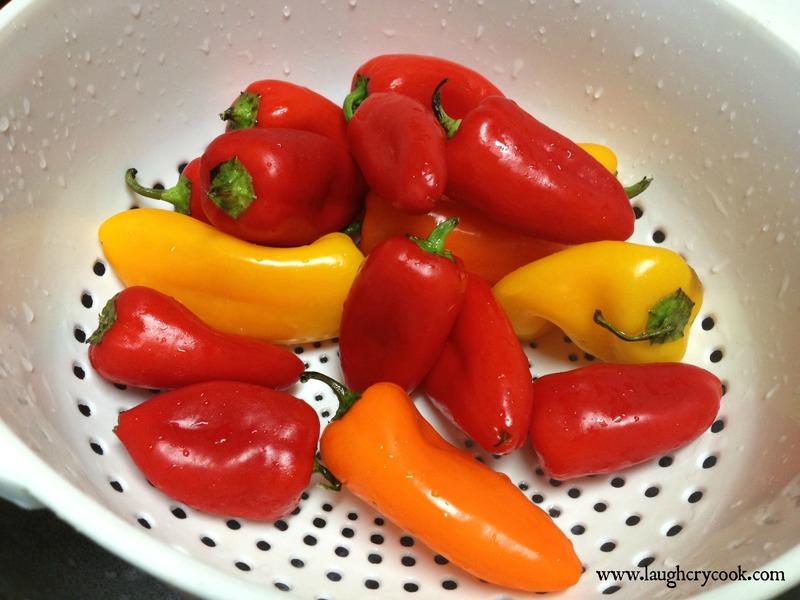 Let sit overnight at room temperature and rinse or follow package instructions for the quick soak method. 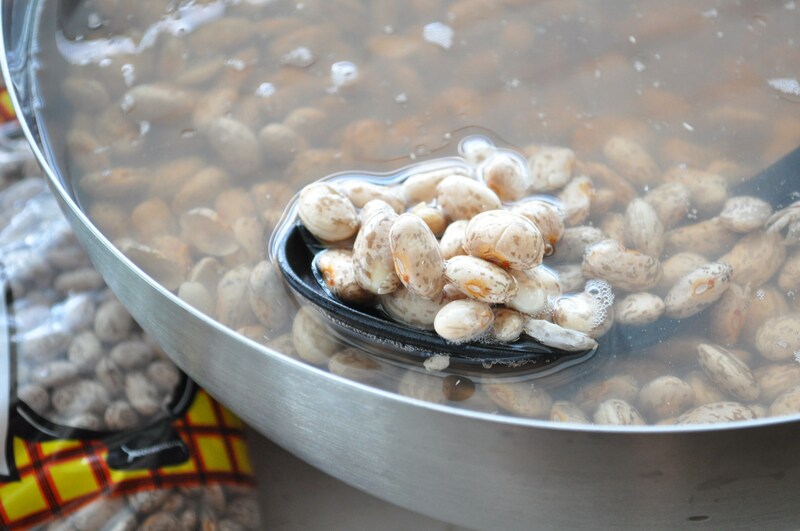 Beans after they’ve soaked overnight. Looking pretty and plump. 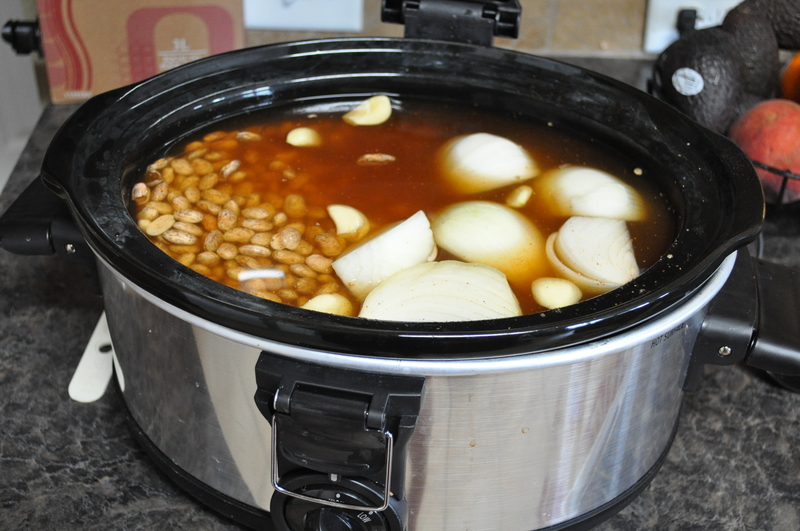 Put soaked beans in your crockpot. Pour water over the top until they are covered about an inch (to your thumb knuckle). I don’t know where I learned this trick, but it’s how I do most of my dried beans. 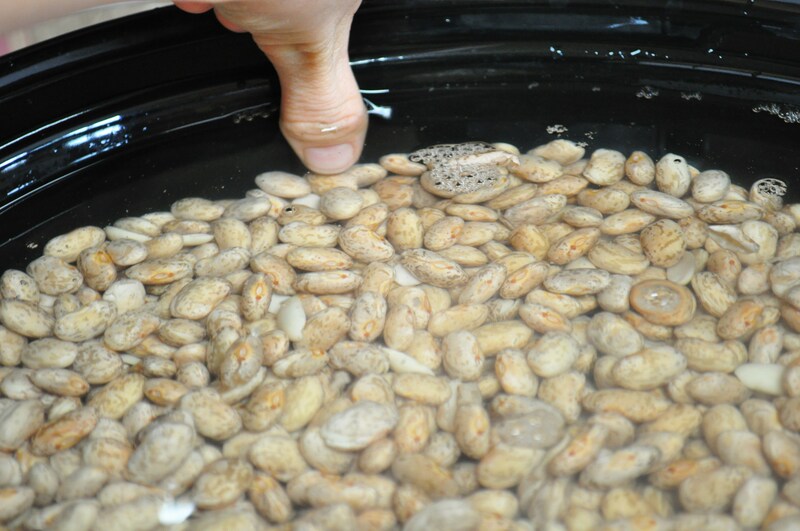 Just add water until it reaches my thumb knuckle when the tip of my thumb is touching the top of the beans. Add onions, garlic, chili powder, cumin, and smoked paprika. Stir. Everything except the salt goes into the crockpot (salt makes your beans tough). 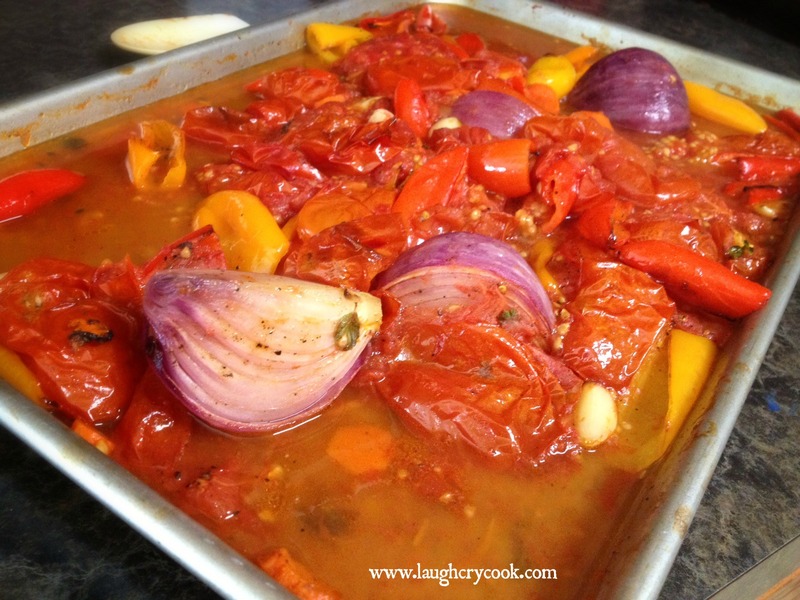 Cook for five hours, or until the beans are cooked through. Add two teaspoons of salt, tilt lid to let some of the liquid evaporate, and cook for one more hour. Add more salt if needed. I used four teaspoons in ours. You can eat them just like this or make refried beans. Perfect job for a motor-lovin’ helper. 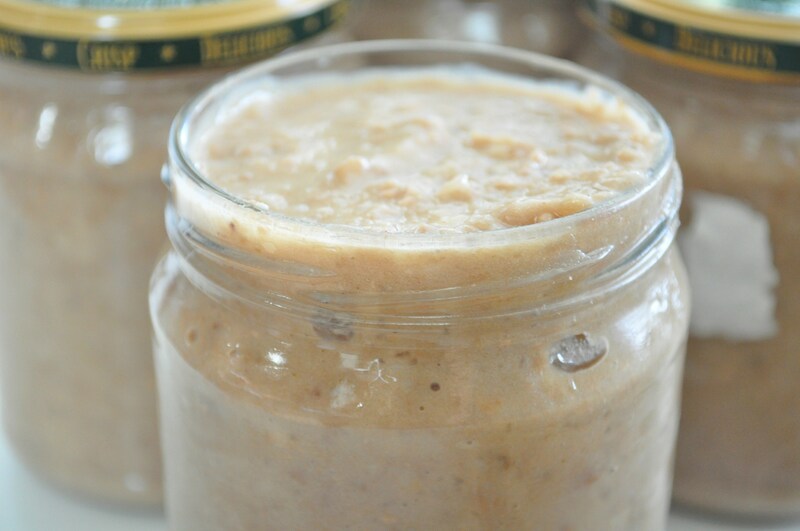 To freeze refried beans: Put cooled leftovers into glass jars or ziptop bags and freeze. Ready to reheat or freeze. Defrost overnight in the fridge (or in a bowl of luke warm water), pour into a pan and heat on the stove top to desired temperature or consistency. 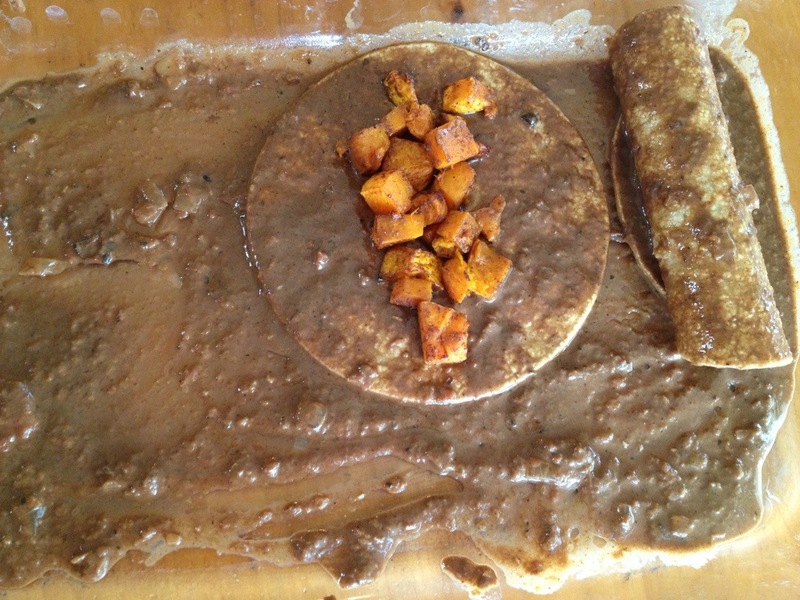 At about $2 a burrito for store-bought organic frozen burritos, this saves you tons of money. These 8 burritos here cost just a few dollars. Scoop beans into a warm tortilla. 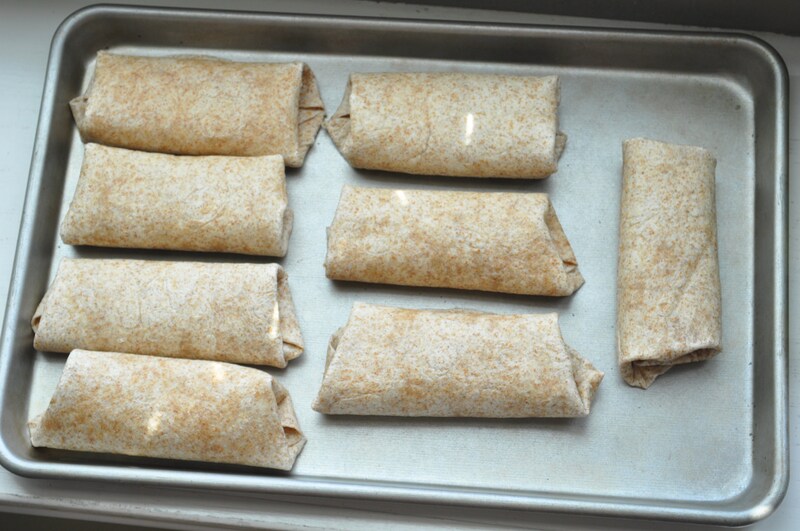 Fold into a burrito with seam side down on a cookie sheet. Repeat. Freeze on the cookie sheet. Wrap each frozen burrito in saran wrap or sandwich baggies. To reheat, remove from plastic wrap, wrap in a paper towel, reheat in microwave for 60 seconds on each side until heated through (2-3 minutes). 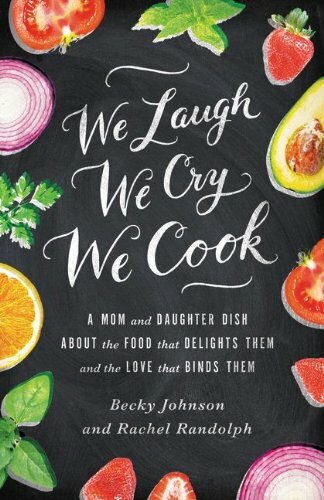 We Laugh, We Cry, We Cook Food Memoir Giveaway Times TWO! Last week, we went on a long beach vacation to our favorite place in the world, the quaint little Island of Little Gasparilla. I wrote about it in our food memoir We Laugh, We Cry, We Cook (in stores next week.) It’s where Jared and I got married, where we took Jackson for his first beach experience, and where Jared’s family has been vacationing for twenty years. To put it mildly, it’s a special place for our family. We took along the Mimi because we love her and Jackson loves her…and well, we knew it was the only way we’d get any alone time. Thanks to her, Jared and I enjoyed an amazing all vegan dinner at Vino Loco Tapas and Wine Bar one night to celebrate our sixth anniversary. We were the only diners (it’s off season right now), and we got special treatment from the chef, who hand delivered each organic, well-thought out plate to our table. 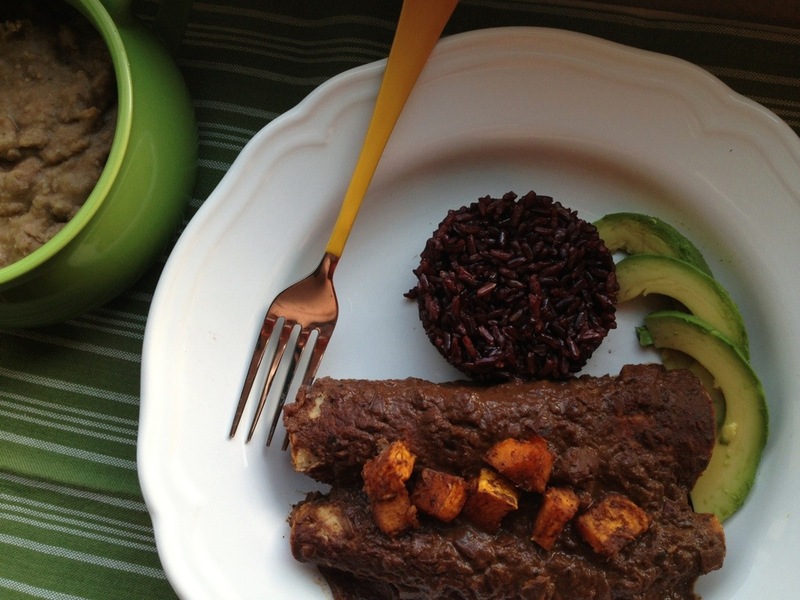 Simple flavorful food made with quality organic ingredients that let the veggies be the star. My kind of food! 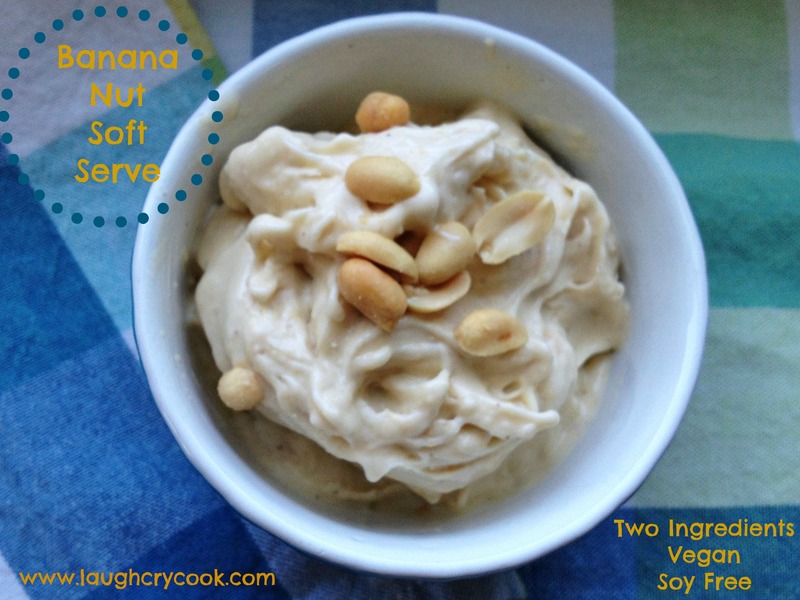 And then there was vegan gelato made out of almond milk. Oh my. The gelato was so amazing, we swung by on our way home to get more for the long road home…and to share with Jackson and Mimi who missed out the first time. I ate my scoop with one of Jackson’s leftover chocolate birthday cupcakes. I can’t remember the last time I had cake and ice cream. It was like a party in my mouth. Black Bean Cakes over gaucamole (made with local avocados), with refreshing jicima and carrot salad. Bruschetta with a white bean spread. Loved that sneak of protein! My favorite. Simple criminis sauteed in fresh garlic, olive oil, and sherry with parsley, served on crispy baguettes. My life is complete. Vegan Sour Cherry & Almond gelato made from almond milk. Our traditional posed anniversary picture. Such a cute little patio. I rarely wear dresses. Had to capture the moment! I love the pocket detail in this Target find. The mangroves. Off the ferry, through the mangroves, into island paradise. I just love this Banyon tree that welcomes you to the Placida Harbor….and that man walking under it. More of this magnificent tree. And another. I can’t stop. It’s just so pretty. Did I say chocolate cupcakes up there? Oh yes! 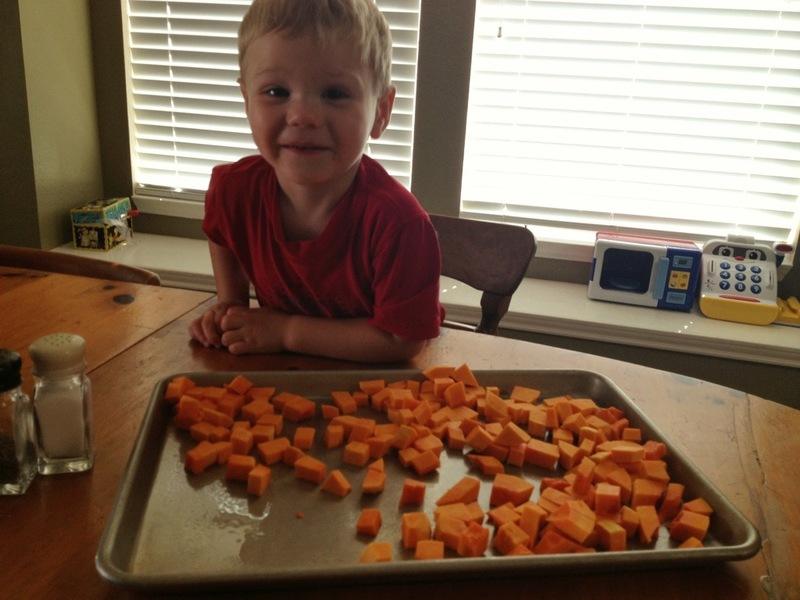 My sweet Jackson turned two on Saturday….and my usually healthy little eater has a dark secret. He loves nothing more than chocolate cupcakes. I used my go-to Chocolate Cupcake Recipe from Chow.com. They are quick and easy and don’t call for any weird ingredients. 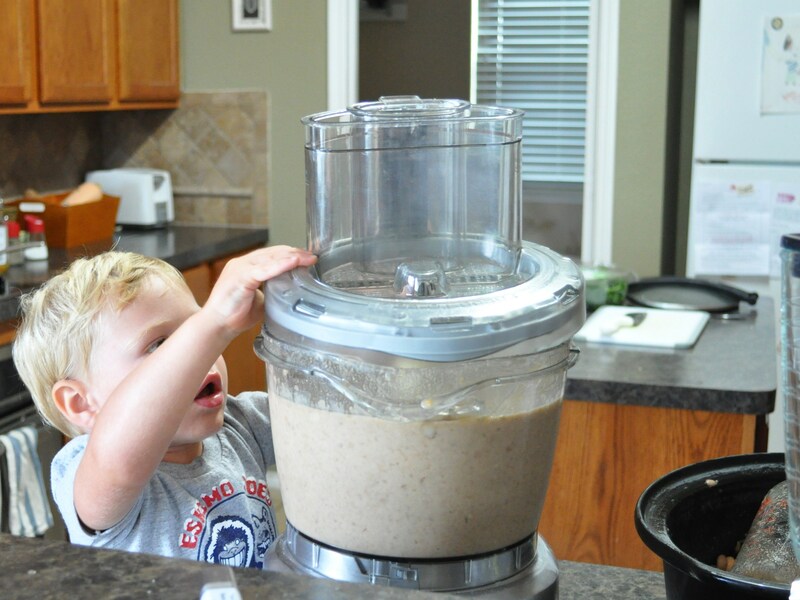 I subbed almond milk, whole wheat flour, and coconut oil this time (working with our limited pantry on the island). They didn’t rise quite as much as the first time I made them with canola and white flour, but they were still fluffy and delicious…and healthier. 🙂 We skipped icing in lieu of a dusting of powdered sugar. We aren’t much of an icing family…and it’s usually just fat and sugar anyway. We let him blow the powdered sugar on his cupcake instead of blowing out a candle. He thought that was WAY fun! “I’m TWO!” (Coincidentally, this is also his “Hook’em Horns” sign. Uh, do you think we have a two-year old on our hands? Some big kids were walking by and he went total “cool guy” on us. Hilarious. Trying to get a decent family picture on a windy beach (of course we took pictures on the ONLY windy night) with a toddler is no easy task. 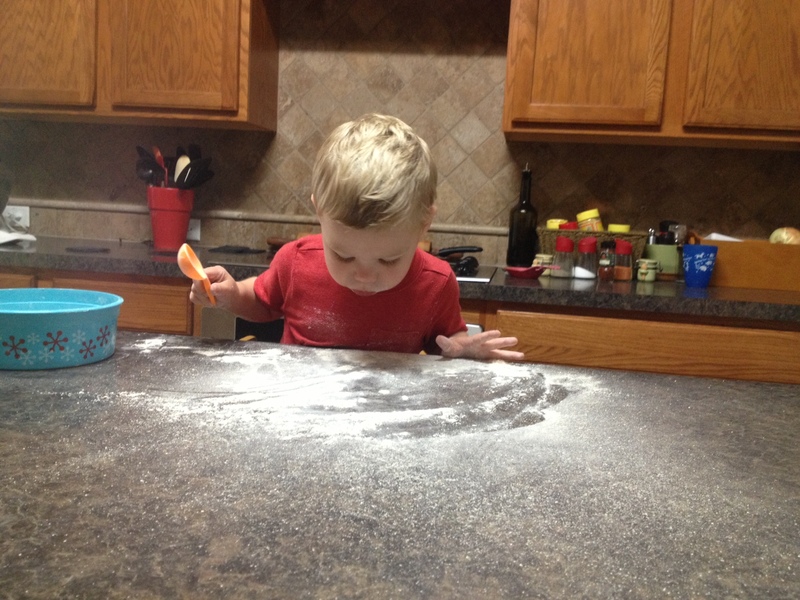 Who needs candles when you can blow powdered sugar on the cake. Love this little boy. Thank you, Jackson, for making me a mommy! Happy Birthday Jackson! I have a feeling we have an adventurous year ahead! Twos = double the fun, right? 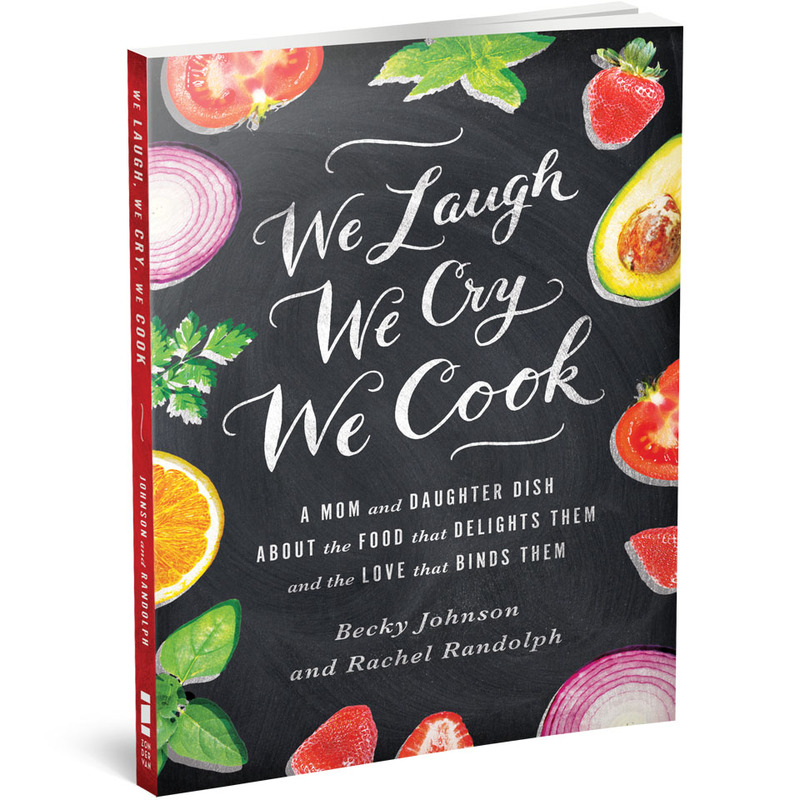 In honor of Jackson turning two, we’re giving away TWO early release copies of We Laugh, We Cry, We Cook! Jackson just so happens to be a pretty big star in the book….so it seems fitting. To enter the giveaway, simply like our facebook page and leave us a comment HERE ON THE BLOG telling us you’ve done so. A birthday wish to Jackson would be like powdered sugar on the cupcake though. 🙂 Be sure to include the name that you use on Facebook so we can verify your entry and fill in the email section of our contact form so we can contact you if you are a winner. Giveaway ends on at midnight central time Friday, August 2nd, We’ll pick the winners using a random number generator. Winners will have 24 hours to contact us before we choose another name.